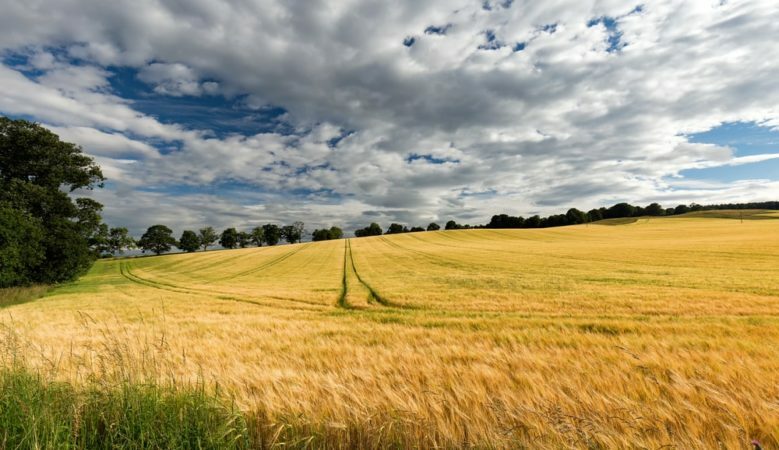 The average value of bare agricultural land in England and Wales fell by 3% during 2018 to £6,970 per acre, the first time it has dropped below £7,000 since the end of 2013, the latest index shows. However, the index from real estate firm Knight Frank points out that despite the current uncertainty facing the market, the price decline since the peak at the end of 2015 remains relatively modest. It also points out that values have fallen 15% compared with 30% growth over the preceding three years and are still slightly higher than they were five years ago and there has been a 45% increase in farmland performance over the last 10 years and 3,670% increase over the last 50 years. ‘It is easy to blame Brexit alone for the current slide in values, but prices had actually started to nudge downwards before the European Union referendum, with falling commodity markets the main culprit,’ said Andrew Shirley, head of rural research at Knight Frank. ‘It can also be argued that, managed correctly, an orderly Brexit is an opportunity rather than a threat to the agricultural sector overall, at least over the medium and longer term. DEFRA minister Michael Gove has already promised that there will be no cliff edge reduction in subsidy payments,’ he explained. ‘In reality, the Brexit process remains in turmoil and the lack of clarity about our future relationship with the EU means many potential buyers and sellers of land continue to sit on their hands,’ he pointed out. ‘If order is restored, the wider market will remain resilient, albeit subject to an even wider variation in values, as the pent up demand is released,’ he added. According to Shirley many potential buyers and sellers are sitting on their hands but there are still many reasons to buy land including rollover purchasers being particularly active, and an improvement in commodity prices, helped by the drop in the value of sterling. He also explained that numerous farming businesses are looking at horizons far beyond the UK’s potential exit from the EU. ‘But if we end up with a no-deal Brexit or even a change of government, the future becomes more uncertain. The remainder of 2019 looks set to be extremely interesting,’ he concluded.